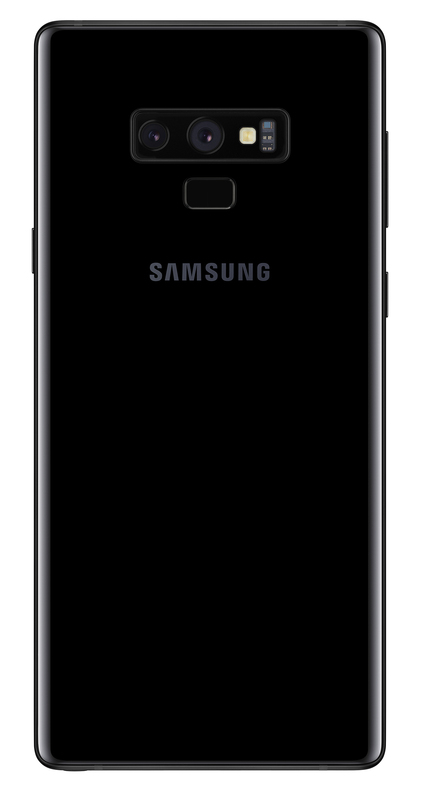 The Note9 has a 6.4-inch Quad HD+ Super AMOLED display with a resolution of 2960×1440 and a 516 PPI. It’s being powered by the Snapdragon 845 processor with either 6GB or 8GB of RAM, depending on which storage capacity you get. There are two storage options for the Galaxy Note9, 128GB or 512GB plus a microSD card slot, so you could technically have a Note9 with 1TB of storage. As for cameras, there are two, one 12-megapixel wide-angle w/ OIS and one 12-megapixel telephoto lens w/ OIS. The front camera is 8-megapixels. The camera also comes with enhancements in the camera app that will automatically identify the object in the frame and if there are any flaws it will tell you as well. The phone has a massive 4,000 mAh battery and is IP68 water and dust resistant. 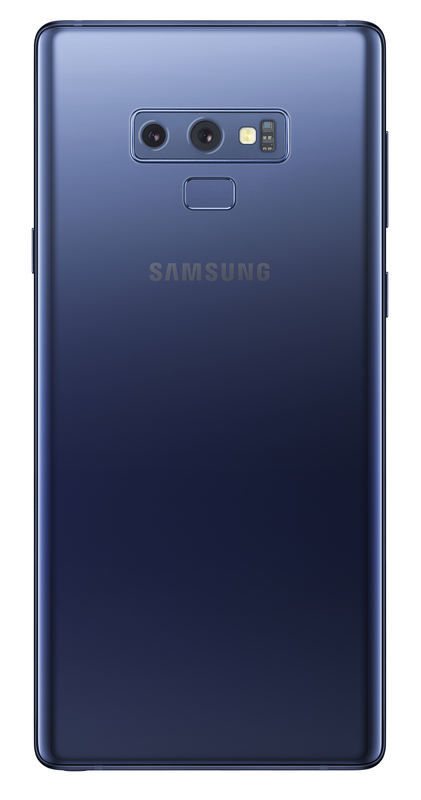 The Note9 comes with Android 8.1 Oreo with Samsung Experience on top along Bluetooth 5.0, NFC and Wi-Fi 802.11ac. There are also stereo speakers tuned by AKG with Dolby Atmos support and you can also use Samsung DeX on the Note9. The S Pen with the Note9 now supports Bluetooth Low-Energy and has been refined. 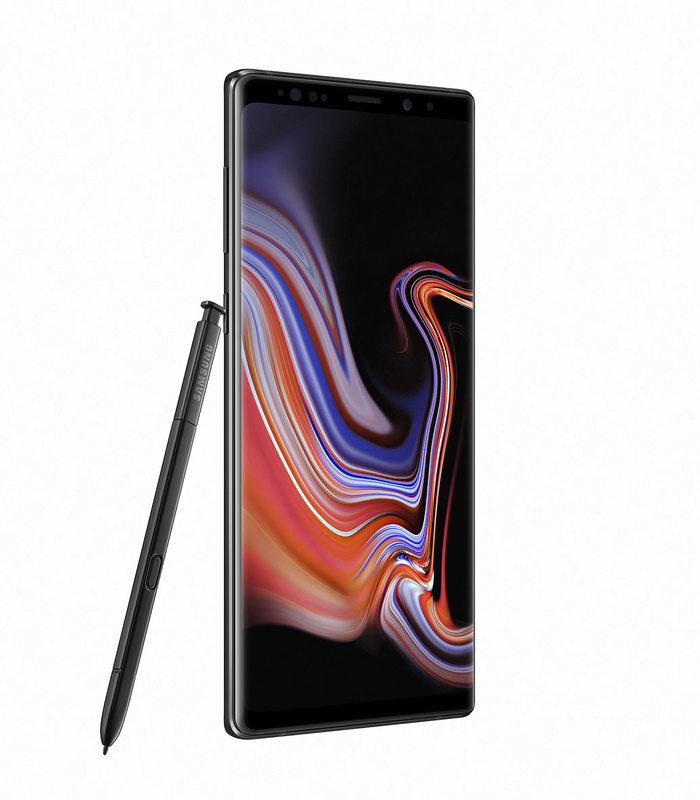 The Galaxy Note9 will be available on August 24th and come in four colours, Midnight Black, Lavender Purple, Metallic Copper with a matching S Pen while the Ocean Blue colour option will come with a Yellow S Pen. 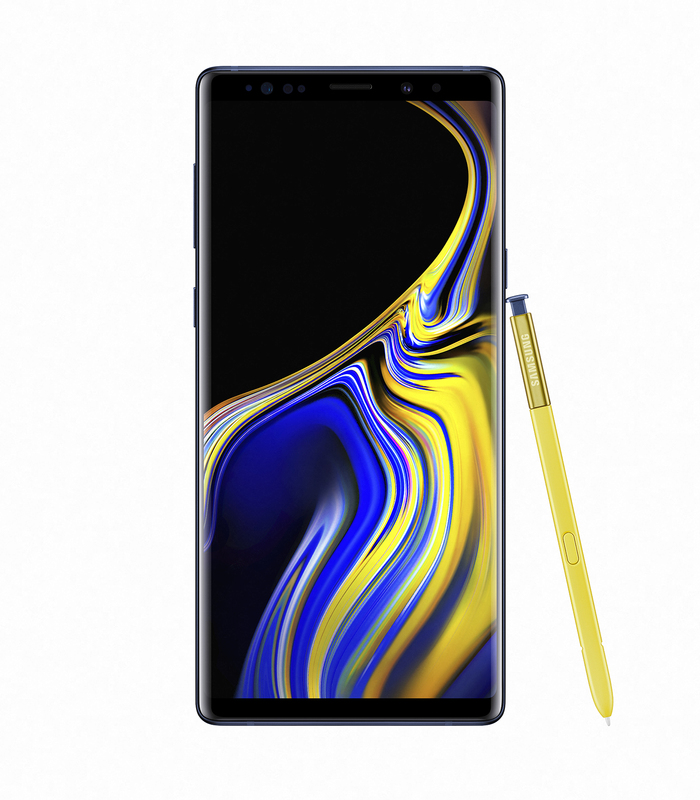 Samsung Canada announced that the Note9 will be available in Midnight Black and Ocean Blue in Canada. Pre-orders for the Galaxy Note9 begin on today. Those who pre-order the Note9 in Canada between today and August 23rd will get a Gear IconX (worth $299 CAD). 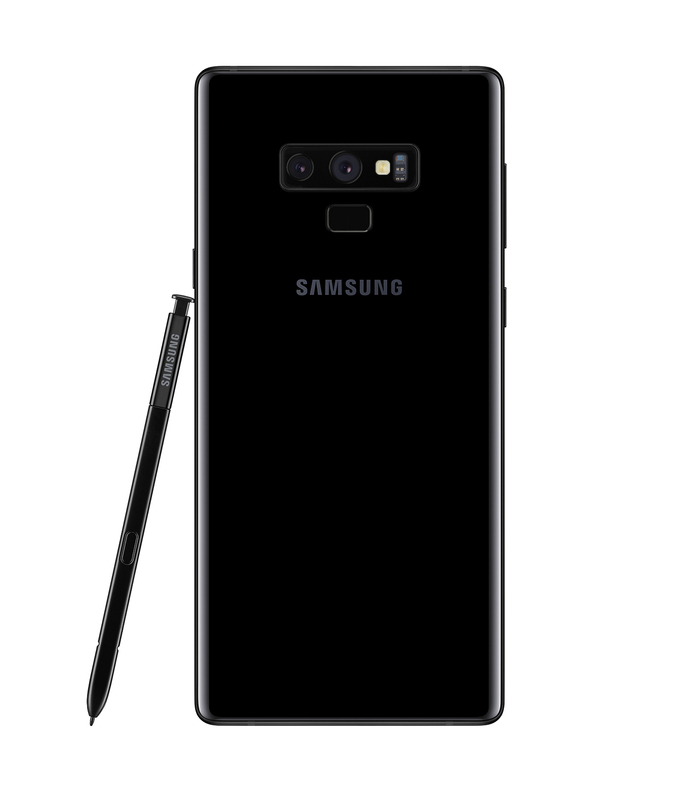 The Note9 will cost $1,299 CAD outright for the 128GB model and $1,629 CAD for the 512GB model (which is exclusive to Samsung’s website and Samsung Experience Stores). 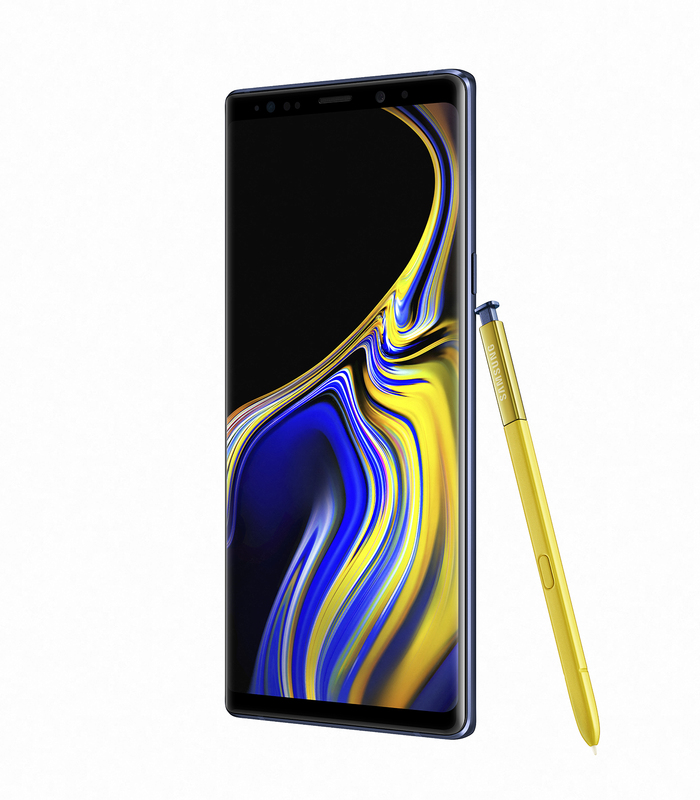 The Galaxy Note9 will cost $549 CAD on a 2-year contract and be available from Samsung Experience Stores, Bell, Rogers Wireless, Telus, Freedom Mobile and Videotron. In addition, Samsung has teamed up with Epic Games to get early Fortnite Beta on Android which launches later this week. The beta will work on the following Samsung devices: Galaxy Note9, Note8, S9/S9+, S8/S8+, S7/S7 Edge, Tab S4 and Tab S3. Those who buy the Galaxy Note9 or Tab S4 will get access to a new character outfit called the Galaxy outfit. If you don’t have a Samsung device, you’re not out of luck, Epic said that they’ll be rolling out access to the beta for other devices over the next couple of days. The Fortnite Android Beta will work on the following devices. You can sign-up for the Fortnite Android Beta here. The Galaxy Note9 wasn’t the only device that Samsung announced, they also revealed the Galaxy Watch. The Galaxy Watch has a 1.2-inch or 1.3-inch Circular Super AMOLED display (depending on which size you get). The Galaxy Watch can last up to 80 hours on a charge and there’s also LTE connectivity option that works in with 30 carriers in 15 countries (including Canada). 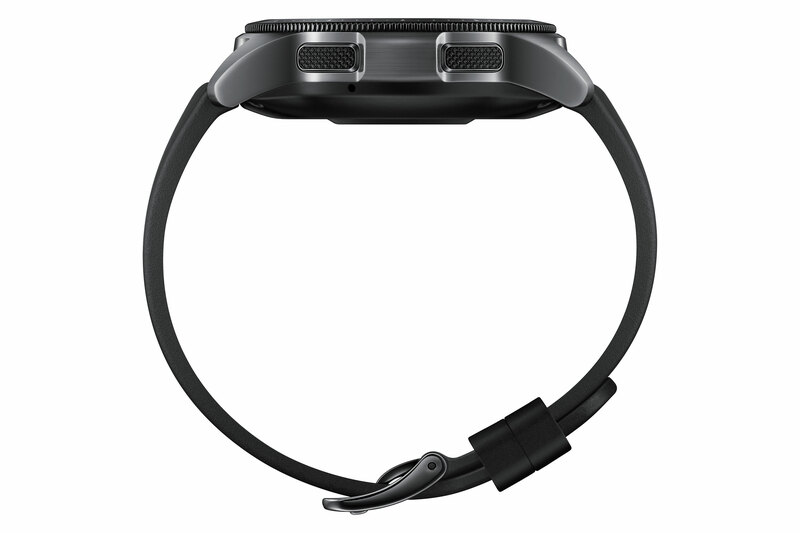 The watch can track up to 39 different workouts with the ability to customize it to your liking. You can also track calories using Bixby Vision on your Galaxy phone and then manage it on your Galaxy Watch. 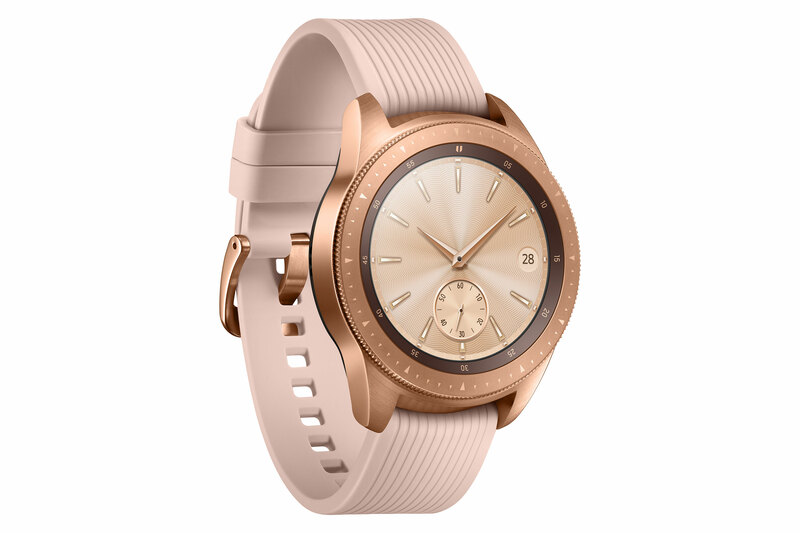 The Galaxy Watch will come in 42mm and 46mm sizes and two colours, black and rose gold. 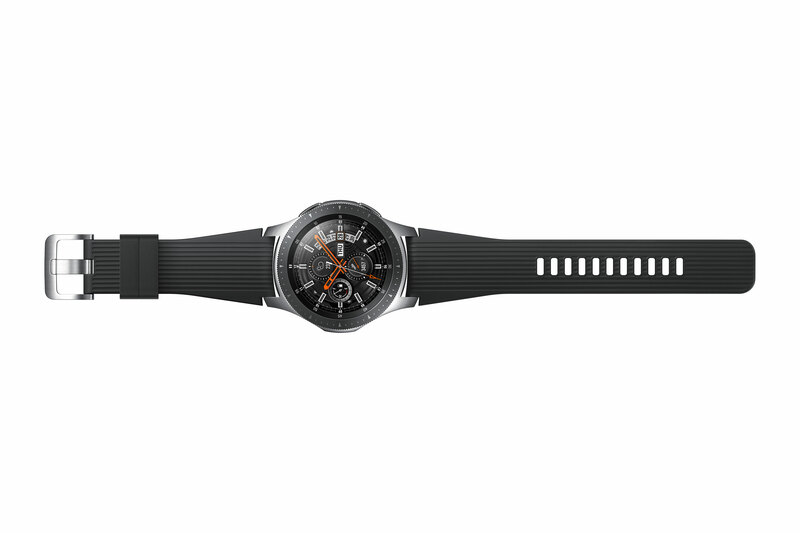 Samsung has also partnered with Braloba to offer more high-quality watch straps for the Galaxy Watch. There’s the usual array of sensors including a heart rate monitor. 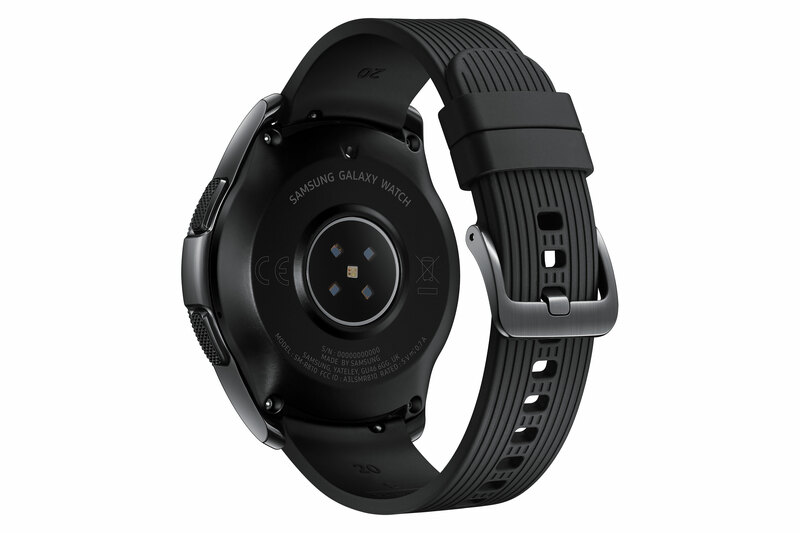 The 42mm Galaxy Watch has a 20mm interchangeable band and 270mAh battery while the 46mm version will have a 22mm interchangeable band and 472mAh battery. Both versions are powered by the Exynos 9110 dual-core processor and are running Tizen Based Wearable OS 4.0. The Galaxy Watch also comes with Bixby voice control, similar to on the Galaxy phones. There’s also 4GB of internal storage, the standard Galaxy Watch will come with 768MB of RAM while the LTE version will come with 1.5GB of RAM. The Galaxy Watch is IP68 water resistant up to 5 ATM. The standard Galaxy Watch will come to Canada on September 21st and the LTE version will come later this year. 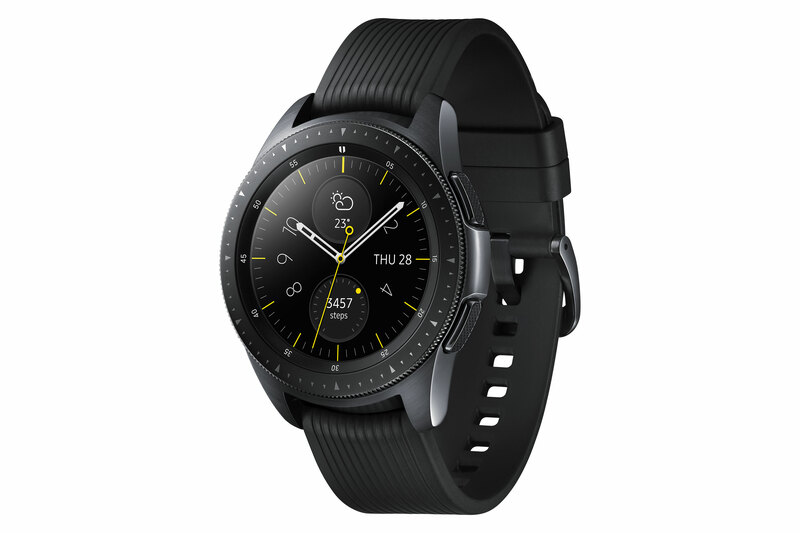 If you pre-order the Galaxy Watch (either version) between August 24th and September 20th, you’ll get Samsung Wireless Charger Duo (valued at $149 CAD), which will allow you to wirelessly charge your phone and watch at the same time. 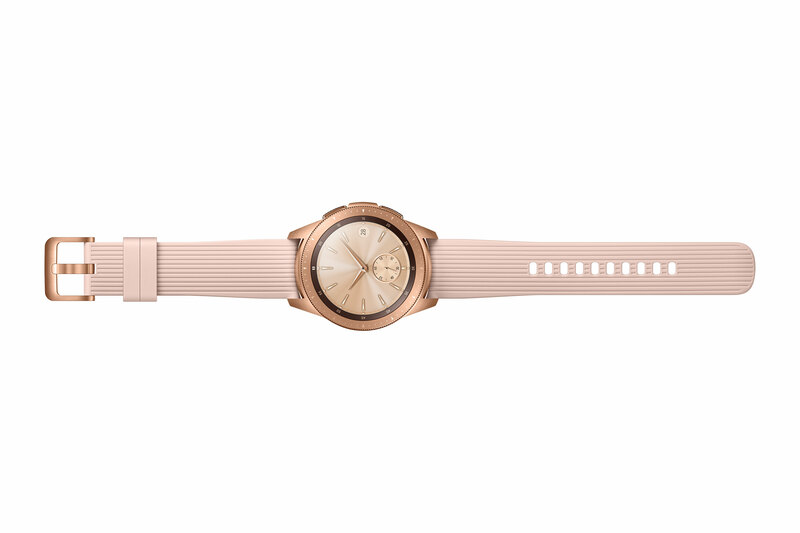 The Galaxy Watch will cost $419 CAD for the 42mm version and $459 CAD for the 46mm model. In the US, the Galaxy Watch will be available on August 24th and in Korea on August 31st for $329 USD for the 42mm version and $349 USD for the 46mm version.